Automation is becoming a central part of digital media transaction, as it creates workflow efficiencies for both buyers and sellers. The ability to sell against inventory forecasts while leveraging the scale of the open market increases revenue for publishers while the audience and data targeting improves campaign performance for buyers. 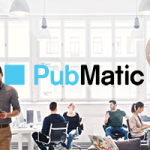 With our programmatic advertising platform, publishers and buyers can transact across all inventory in the specific sales channels that are best suited to accomplish their goals. What’s more, in addition to the open marketplace, programmatic direct transactions have become a priority as both buyers and sellers are seeking partners that can assure the quality of both inventory and advertising. Powered by real-time insights, Programmatic Direct combines the predictability and transparency of direct buys with the data, scale and efficiencies of the open market. Our Programmatic Direct products – Private Marketplace (PMP), PMP-Preferred (PMP-P), PMP-Guaranteed (PMP-G), Automated Guaranteed (AG), and Biddable IO – enable publishers to manage and package premium inventory and audience segments for buyers, while maintaining high levels of control. Brands are spending more of their budgets via programmatic channels. Our Media Buyer Console allows them to intelligently and efficiently buy and manage high quality programmatic direct campaigns at scale across various ad formats and channels. Delivering quality at scale to buyers and sellers.